It’s Speedy Tuesday! Earlier this year, Bert and I went on a horological trip to Switzerland and visited the OMEGA museum in Biel. One of the people from the museum showed us a number of Speedmasters that they had on archive (that is: not displayed in the museum). 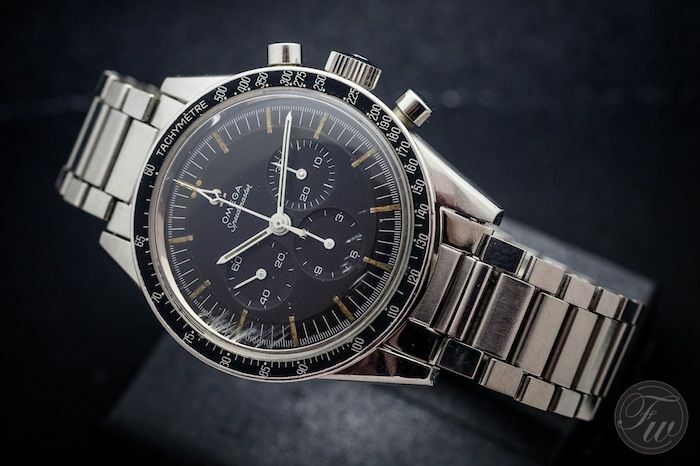 One of them was this very early Speedmaster 105.003 also known as the 3rd generation of Speedmaster pre-Professional model. One can dispute that, as there were three reference numbers before the 105.003. The CK2915 as the very first Speedmaster, the CK2998 is the second generation of Speedmasters and then there was the 105.002. This watch is basically a CK2998, but at this time, OMEGA introduced a different method for their reference number system. We’ll stick to the 3rd Generation of Speedmaster pre-Professional watches. The reference 105.003 Speedmaster pre-Professional is also known as the watch that NASA astronaut Ed White was wearing during his first EVA. Actually, the very first EVA ever for NASA. This was during the Gemini IV mission, that OMEGA commemorated with a limited blue dialed Speedmaster (in 2005) that we’ve covered here. Ed White wasn’t very fortunate though, he died during an accident with a test for the first Apollo mission. Together with astronaut Grissom and Chaffee, White died because of a fire in the cabin of the spacecraft on top of the Saturn booster. 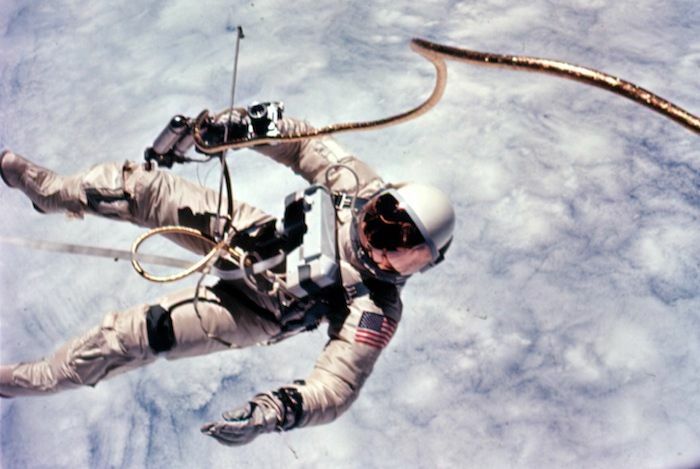 In any case, during the spacewalk in 1965, Ed White was wearing the Speedmaster pre-Professional 105.003 even before it was selected and certified to become the official NASA watch for EVA activities. 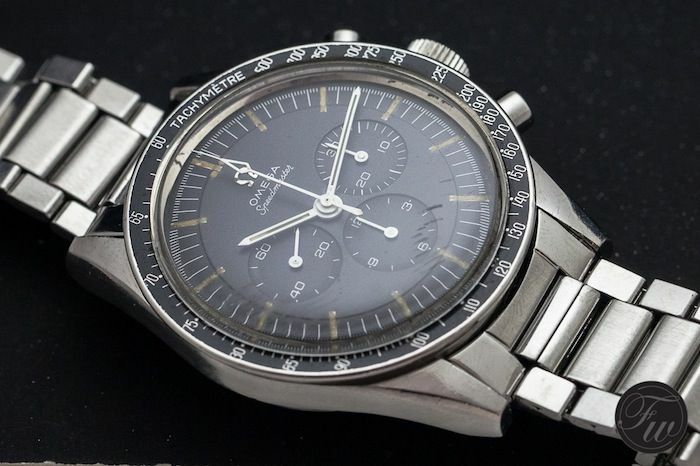 The Speedmaster 105.003 was introduced in 1963 and was the first Speedmaster with baton hands (instead of dauphin hands). 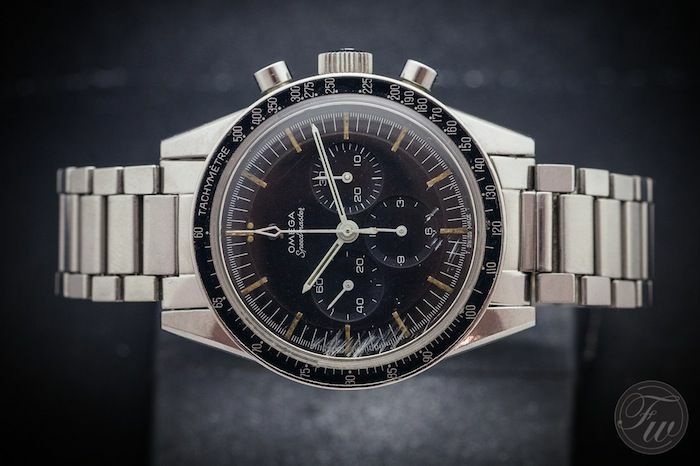 OMEGA kept the 105.003 in production till 1966, even though the 105.012 (the first ‘Professional’) Speedmaster was in the collection already as well. However, OMEGA kept delivering the 105.003 to authorized dealers up to 1967. The Speedmaster pre-Professional 105.003 also had straight lugs instead of the later curved ones and the space between the lugs measured 19mm instead of 20mm. OMEGA delivered this 105.003 on a variety of bracelets, but all in the same style (ref.1501, 1035 and 7912). Also, the 105.003 was the last Speedy that came without crown guards. One could say that the 105.012 and 145.012 (that appeared it 1966) were the first Speedmasters that have a similar appearance to the ones that are still in the collection known as ‘Moonwatch’. The Speedmaster pre-Professional models are highly sought-after by collectors, especially the CK2915 and CK2998 (including the 105.002) models. The 105.003 is the last generation of the straight-lug Speedy models and is perhaps least popular of the pre-Pro models, but certainly worth investigating. The prices on these vintage 105.003 are between $4500 and $8500 USD depending on the condition and whether they come with a bracelet or leather strap. We’d say that if you are looking for that vintage Speedmaster with a caliber 321 column wheel chronograph movement, consider the 105.003 as well. 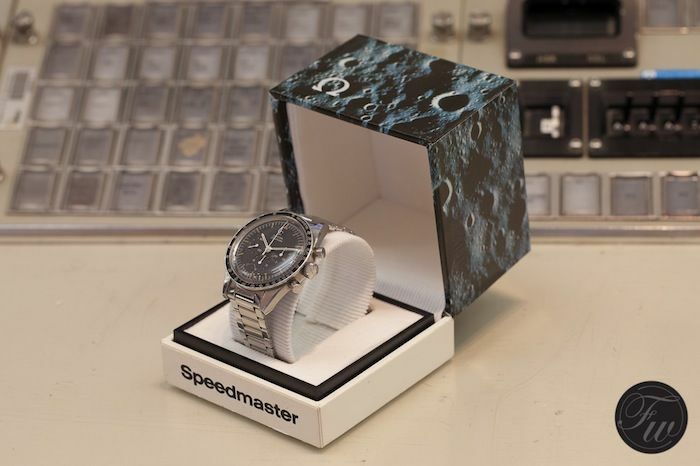 The 105.012 and 145.012 are very nice and are considered to be the watches used on the Moon, but these Speedmaster pre-Professional models are the real deal nevertheless.